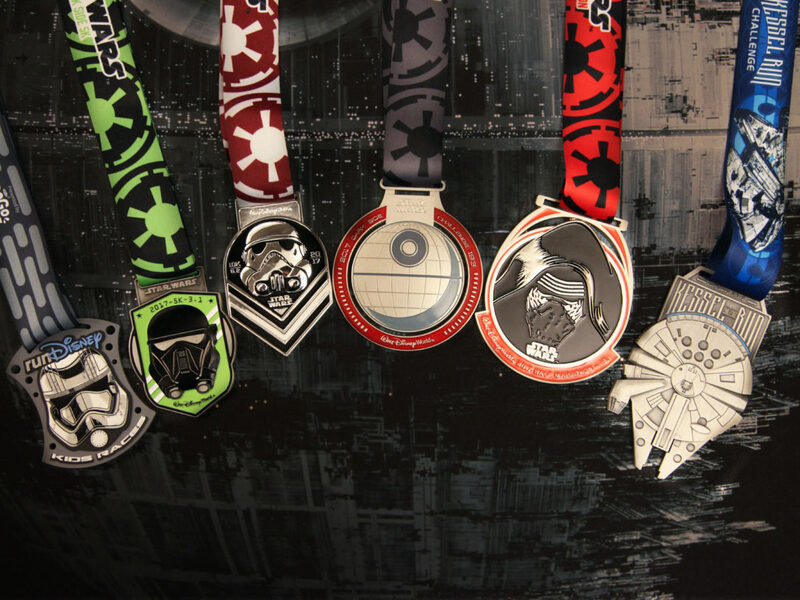 Thousands of runners now know the power of the dark side. 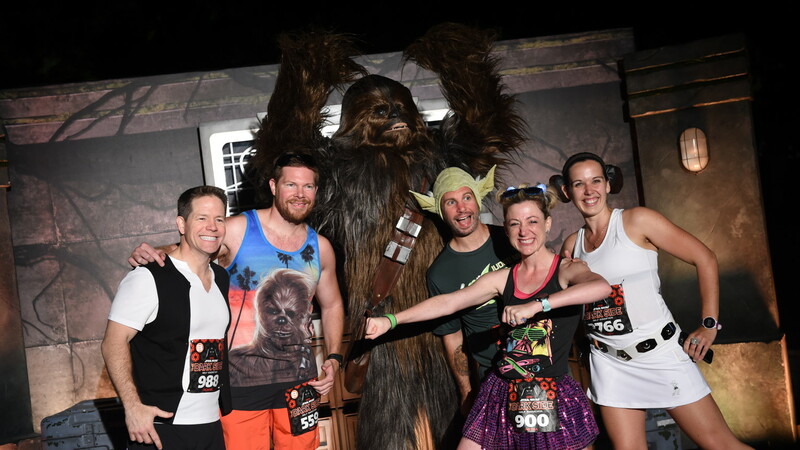 It will be a weekend long remembered: Thousands of Star Wars fans converged at Walt Disney World Resort for four days of Star Wars-themed excitement in running events covering 22.4 miles. 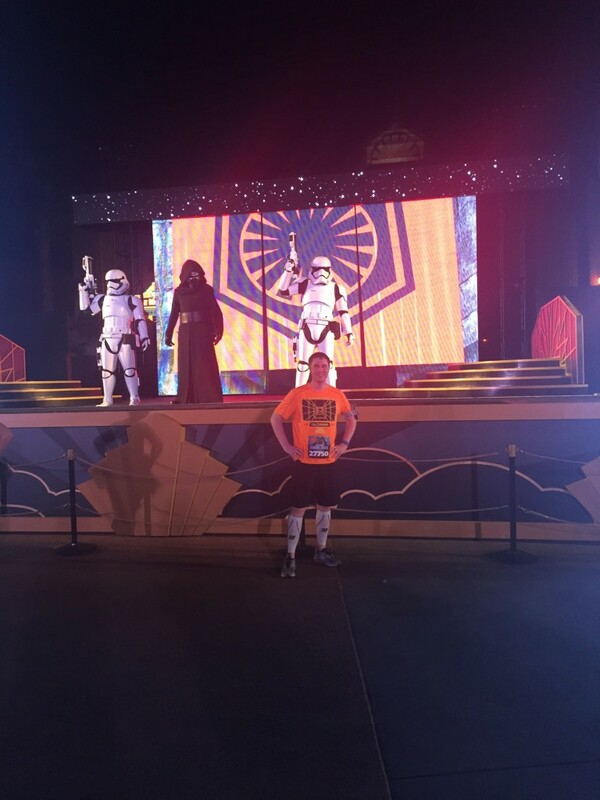 The runDisney Star Wars Half Marathon – The Dark Side is most impressive, and I’ve got my recap of the final two days of this epic event that combines fitness and fandom. 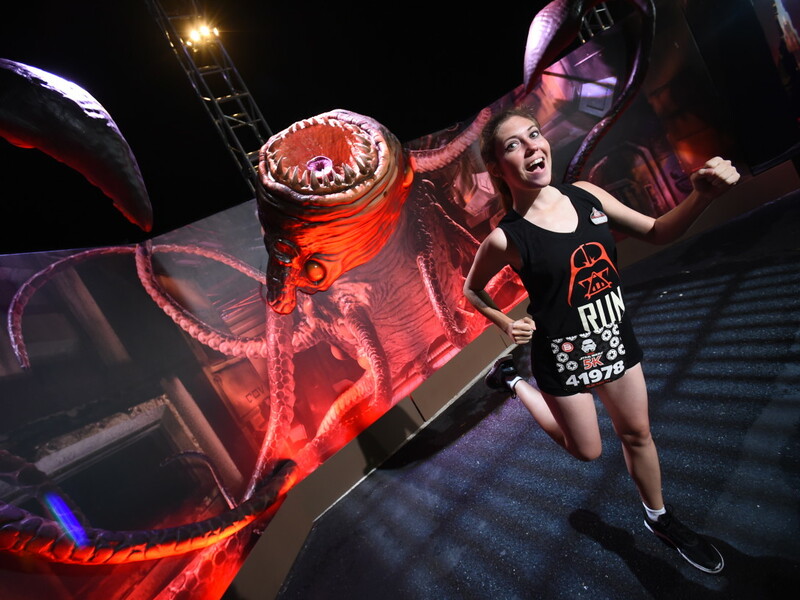 The runDisney Star Wars Half Marathon – The Dark Side kicked off on Thursday at the Health & Fitness Expo and Friday with the Star Wars 5K. But the most challenging races were yet to come on Saturday and Sunday. Saturday morning, I participated in the Star Wars 10K race. Just a year ago, a 10K (6.2 miles) seemed like an insurmountable distance, but after months of training and running in January, I felt really good on this medium-distance run. The 10K course winds through Epcot, down the BoardWalk Resort, and into Disney’s Hollywood Studios. Then we head out towards ESPN Wide World of Sports Complex. 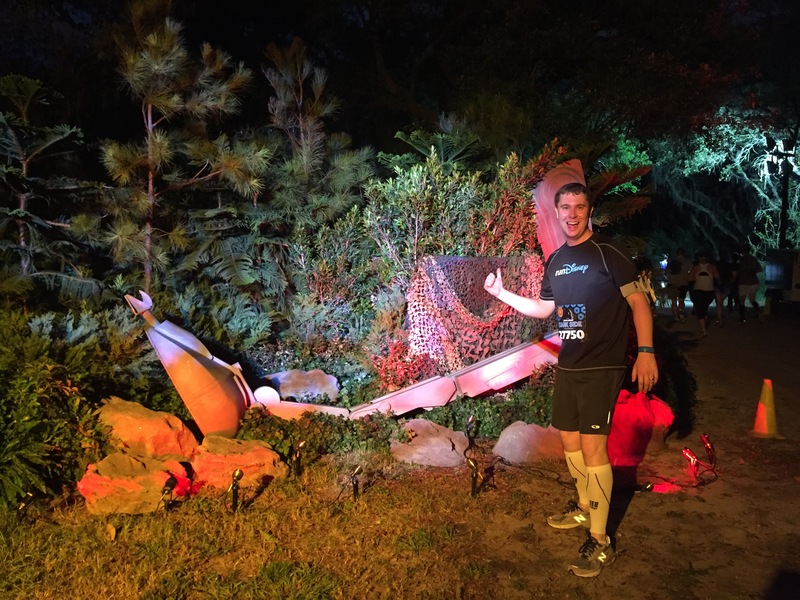 Along the way, we did something I had never experienced on a runDisney course: Ran on a dirt path down a wooded trail. It was by far my favorite part of the race. As we enter this wooded section of the course, a massive screen plays clips of the speederbike chase on Endor. On the dirt path, the course narrows and Endor-like woods surround us. The Ewok theme song plays from beyond the trees and we find an AT-ST set piece, a photo opportunity I couldn’t pass up. These unexpected moments are the kind of motivation I need to keep going late in the race. I finished the 10K right on schedule and immediately looked to the next running challenge: The 13.1-mile Half Marathon. 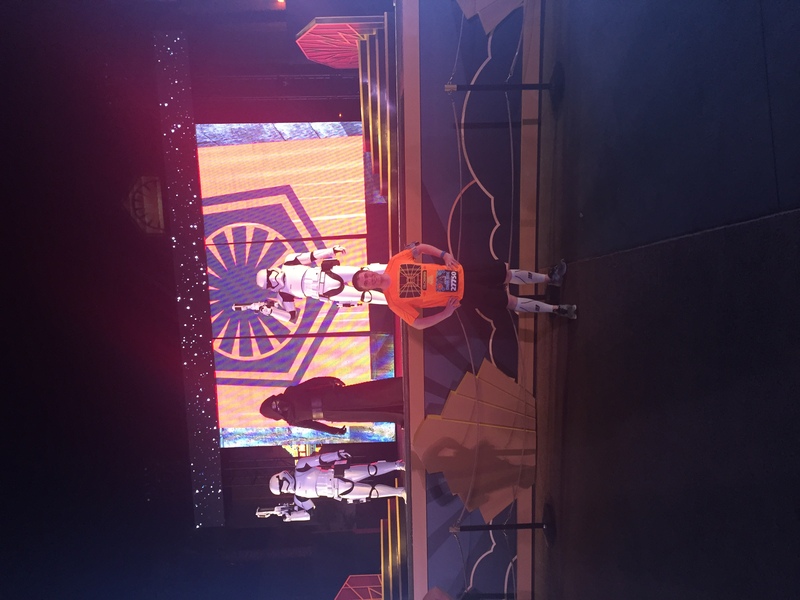 On Sunday, I finished the Star Wars Half Marathon in 2 hours, 50 minutes, and 24 seconds. While not my fastest time, taking a break to get a photo with Kylo Ren and the First Order stormtroopers was totally worth it. The course entertainment was well-paced and I really enjoyed seeing three parks along the way. We first saw Epcot, next went to Disney’s Hollywood Studios, and then saw Disney’s Animal Kingdom before heading towards the finish line at ESPN Wide World of Sports Complex. A real highlight at multiple points along the 10K and Half Marathon courses was seeing members of the 501st Legion, Rebel Legion, and Mandalorian Mercs. These dedicated fans got up early, donned their costumes, and cheered on runners for hours on end. I ran a little faster every time I saw these groups on the sidelines! By the end of the weekend, I ran 22.4 miles over three days. Crazy? Yes. But the medals at the end were totally worth it. Not only did I receive the finisher medal for running each race, I got the Dark Side Challenge medal for running both the 10K and Half Marathon. Since I ran the Star Wars Half Marathon in January at Anaheim, I also got a “coast to coast” medal, given to participants who participate in a runDisney Half Marathon in both Disneyland Resort and Walt Disney World Resort in the same calendar year. To top it all off, since I ran the Rebel Challenge in January and the Dark Side Challenge this weekend, I got my favorite medal of all: the Millennium Falcon-themed runDisney Kessel Run Challenge Medal. 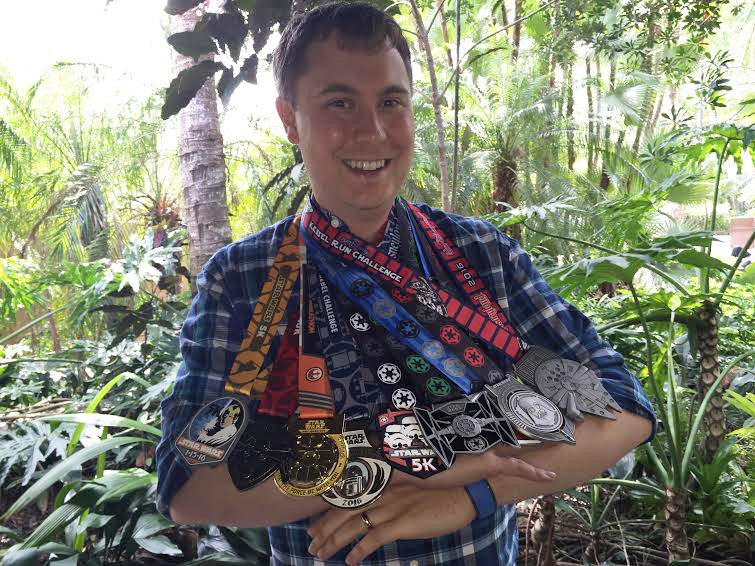 In 2016, I ran 44.8 miles in six runDisney Star Wars races split between Disneyland Resort in California and Walt Disney World Resort in Florida. Personally, a Star Wars-themed run is just what I needed to improve my health and fitness. 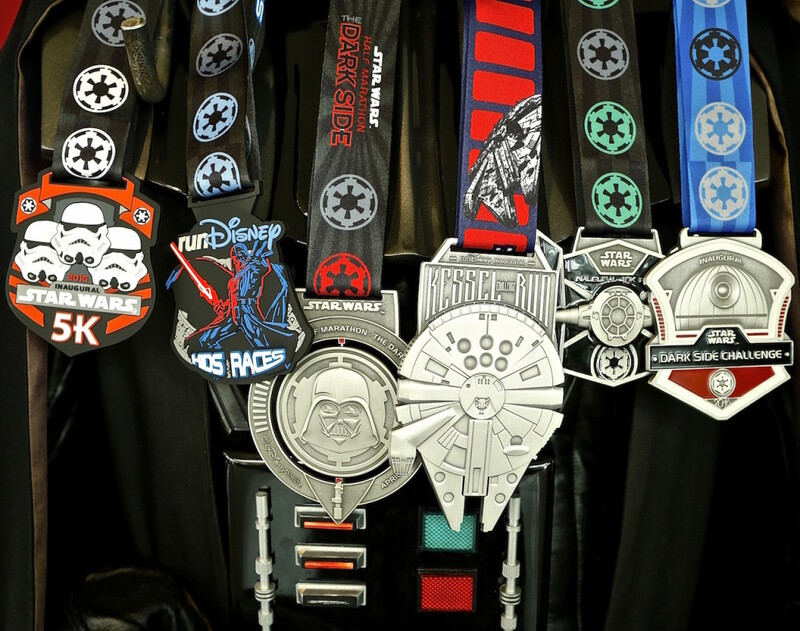 I never would have completed a half marathon in my lifetime — not to mention two of them — if it wasn’t for a Star Wars running event. As a bonus, it was great to meet so many of you along the way. 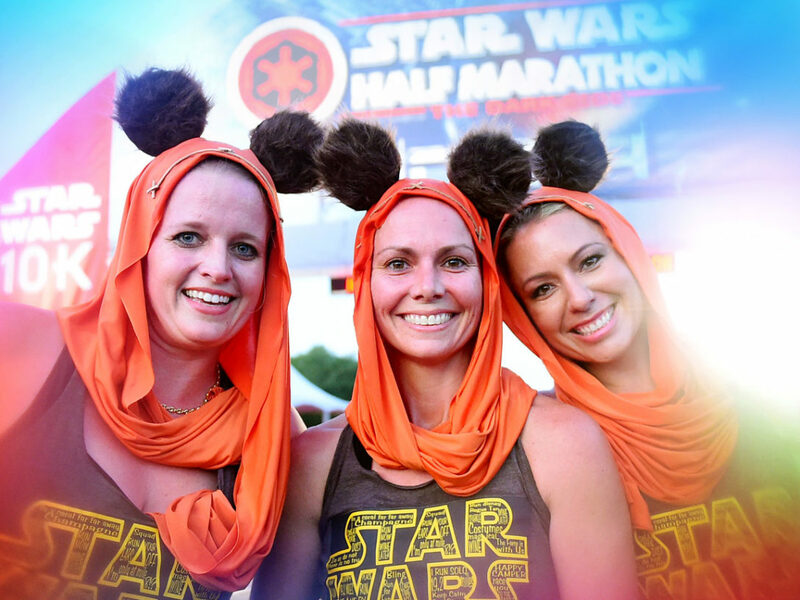 runDisney Star Wars fans are amazingly passionate, supportive, and welcoming. My admiration for this community is beyond words. 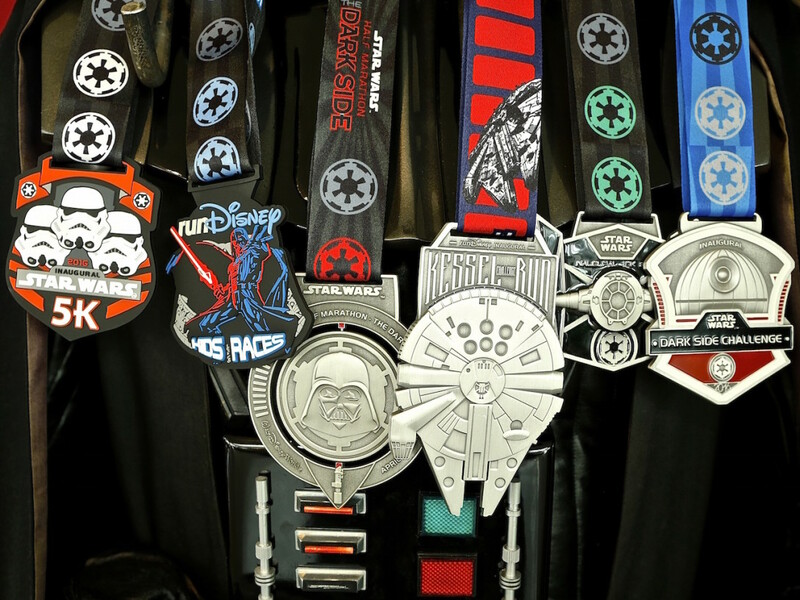 What does the future hold for runDisney Star Wars races in 2017? 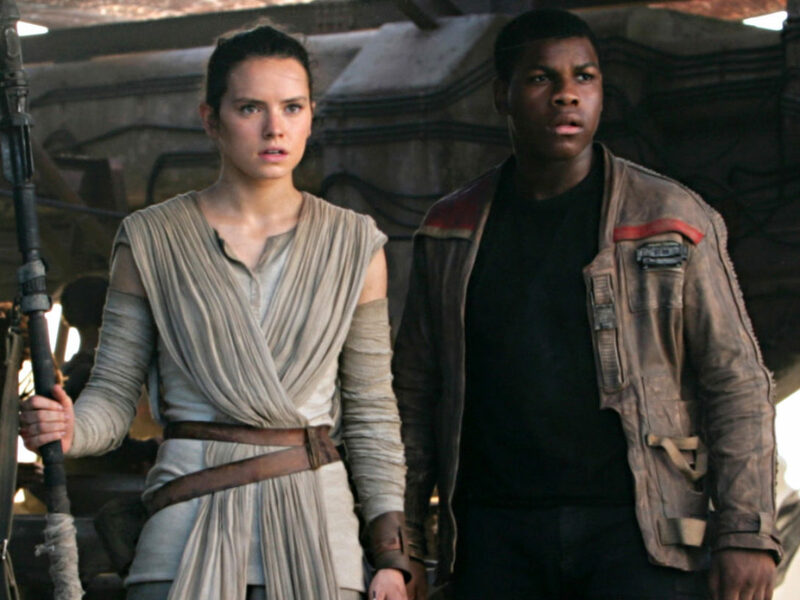 Stay tuned right here on StarWars.com for more. Until then, I want to say congratulations to all of the runners in 2016 and best of luck to everyone looking to participate in the future. If I can do it, you can, too! 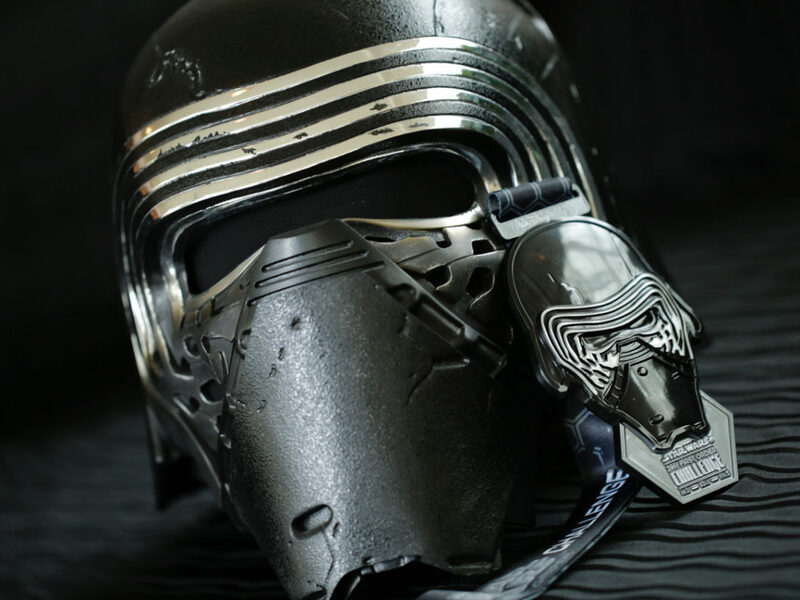 Cole Horton is a full-time Star Wars fan, historian, and author. 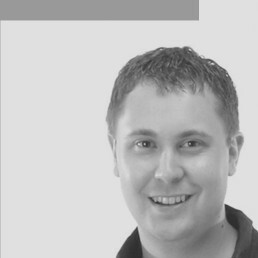 He is the co-author of Star Wars: Absolutely Everything You Need to Know and also makes games at EA. You can follow him on Twitter @ColeHorton.